At the moment we have some transparent plastic chairs at our apartment but we got a new table, so I wanted new chairs and my obsession stayed with "pinnstolar" or in english Windsor chair. So I have been stalking secondhand boutiques online and found 2 chairs! 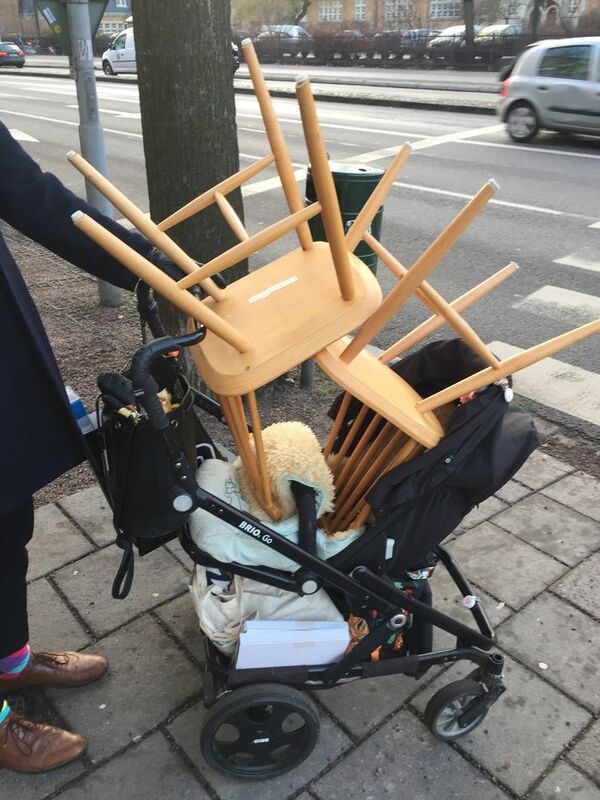 I convinced my husband and as usual we took the pram so we could carry them home. And Aria, well she had to be carried in the baby carrier.